Man, I just downloaded the new iTunes 9.0 that was released today! It felt just like Christmas morning – brand new, out of the box toy to start playing with… awesome. What I can’t wait for, more than anything, is to start playing around with the new iPhone Apps management dashboard. I have like 5 pages of apps on my iPhone and definitely could use some help managing them. 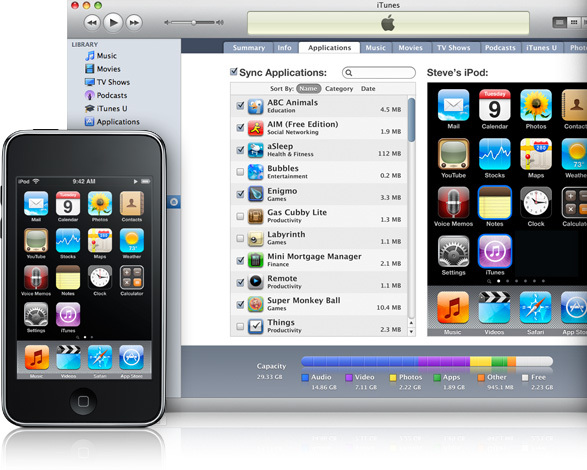 If you haven’t grabbed up iTunes 9.0 yet, click here to download it now.